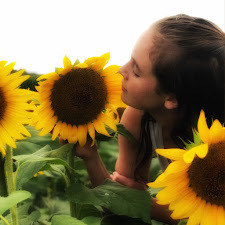 Despite the tumor-shrinking miracle medicine that has bought her a few years, Hazel has never been anything but terminal, her final chapter inscribed upon diagnosis. But when a gorgeous plot twist name Augustus Waters suddenly appears at Cancer Kid Support Group, Hazel's story is about to be completely rewritten. I started this book on Sunday night, because I felt the need to escape reality for a little while, and promptly finished it the nest morning. 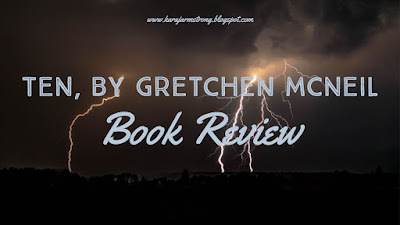 The Big Bad Thing that happened to one character had been spoiled for me about a year in advance (that's why I don't like to look at book stuff on social media--too many spoilers) so I knew what to expect. But I didn't want to except it. Throughout the entire book, I was pretty much thinking "well maybe my copy is special and this thing won't happen." That unfortunately wasn't the case. Anyway, onto what didn't break my heart into a million pieces. I'm not sure that I have the words to describe how much I love this book--but I will try. I had pretty much fallen in love with Augustus Waters the moment that he started staring at Hazel. Augustus and Hazel's love story was one of the most honest and realistic that I had read about since Anna and the French Kiss, and I could barely manage to put the book down. John Green has seriously outdone himself with this novel--I can't remember the last time that I laughed and cried so much over a book. 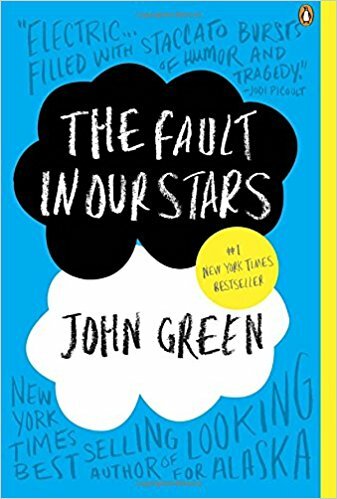 Every character is has their own struggles and problems--from life-threatening cancer to a star-crossed love story, and John Green masterfully narrates every moment. 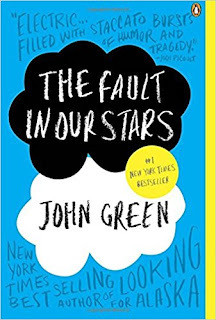 You can read an excerpt of The Fault in Our Stars HERE, and you can find John Green's website HERE. This book is definitely one that should be on everybody's must-read list. So go read it! Okay? Okay.